Any warranty work in that period must be performed by David G. Hughes or his authorized agent. The piano must not be subjected to adverse temperature or humidity conditions during any part of that period. Broken strings, loose tuning pins, pinblock delamination, loss of soundboard crown, all replaced action parts and felt, sticking or inoperative keys (first year only), malfunctioning pedals, loose keytops (restored original ivory excluded), faulty case hardware (excluding original locks), premature wear of moving parts. 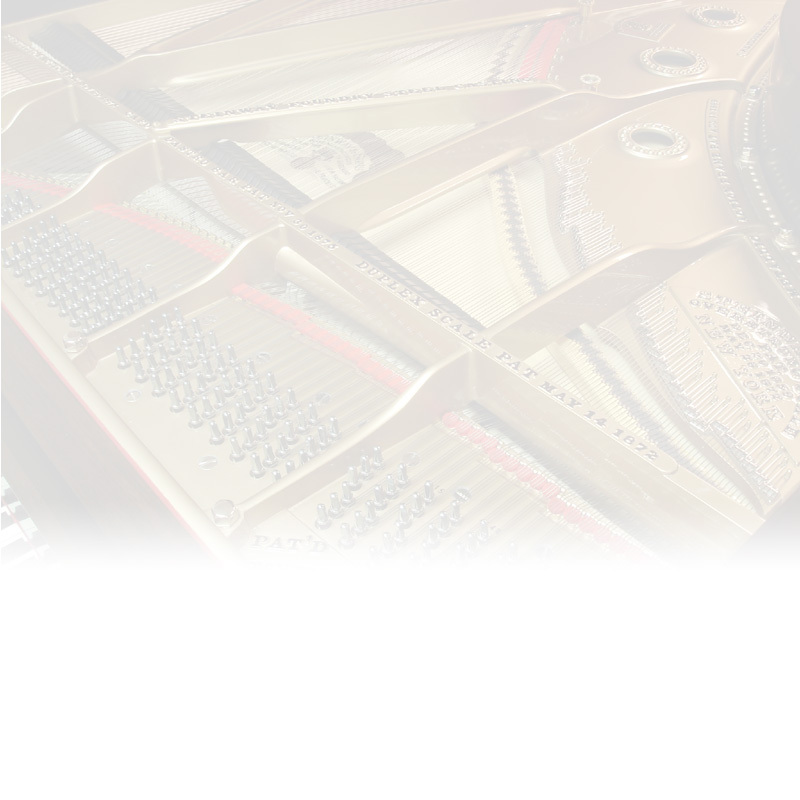 Damage to wood or glue joints due to severe temperature or humidity conditions, cosmetic soundboard movement and/or compression ridges, case finish blemishes due to veneer or core lumber movement, case and/or mechanical damage due to moving, abuse or neglect, regular industry recommended piano service such as (but not limited to) partial or complete action regulation (including dampers and pedals), case touch-up work, tuning, and voicing. Due to the characteristics of new music wire, a restrung piano should be tuned at least three times within the first year of restringing, twice a year thereafter. Typically a piano used under normal playing conditions (two hours per day) requires some form of action regulation every few years due to nominal wear and compaction of felt and buckskin. Some voicing (alteration of tone) may also be required due to normal hammer felt compaction and wear. Such work will be performed at Mr. Hughess prevailing rates. Proper humidity control is essential to action performance, tuning stability and general instrument longevity. Self-contained humidity control systems are available to keep pianos in the moderate range (40% to 50%) year-round despite daily atmospheric fluctuations. Ask for details, and visit www.damppchaser.com for further information.